As per a research of National Cyber Security Alliance they determined that 80% windows users were infected with Spywares/Adwares/Malwares/Viruses and users don’t know about it. Working on an infected system means direct compromise on security!!! Your system restarts on it’s on after some time. You are bombarded with pop-ups while opening or browsing any sites. Your home page keeps on changing itself. You can't seem to reach a certain websites any more. If any of the above statements is true for your machine, chances are, it is infected!!! Viruses can enter system in many different ways like by spam emails, by clicking on an unknown advertisement, downloading infected files, by visiting unsecured websites, accessing an infected media/drive etc. Unfortunately, many viruses are now able to recognize and prevent the installation of anti-virus software. Specialist cleaning is usually required now to deal with infection. Fortunately we have all the necessary tools to scan and remove those existing viruses and provide protection against future re-infection as we continually update the tools we carry to enable us to clear even the most recently discovered and stubborn infections. Next in the line in security threat is Malware/Spyware/Adware. These are malicious software which includes very dangerous viruses like Trojan, Worms, Rootkits, etc. They are capable of gathering sensitive information (personal date, credit card information & stealing passwords) or gaining unauthorized access to computer systems. If Virus or malware attack happens in the computer then it is very easy for a hacker to access computer and breach network security. Hackers’ transfers’ virus and malware software to corrupt programming files of the computer. Ryma Technologie’s Microsoft certified technicians are very well trained in dealing with such issues. Especially on Windows and Mac operating system with 99% resolution on first call within 2-3 hours of maximum estimated time (depending on your system’s speed). 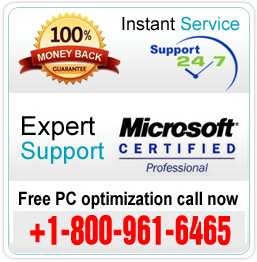 Our Microsoft certified technicians can provide you with best resolution along with proper explanation for the cause of issue and future prevention tips.